Your credit score now has an impact on many parts of your life, whether it’s fair or unfair. It makes sense when a bank or landlord uses your score to determine whether you deserve an individual lone, but it makes less sense when it’s being used by a potential employer to determine whether you’d be a good hire. ConsumerReports.com analyzed more than 2 billion car insurance price quotes from 700 different companies over a two-year study, and the special report found some interesting (albeit troubling) numbers. Overall, they found that AllState has the most expensive rate for new customers, charging about $1,570. USAA was the cheapest of the bunch, charging an average of $817. The investigative report didn’t end there, as Consumer Reports also identified how credit scores could effect a driver’s annual insurance rate. Focusing on Florida, the report found that a single adult driver with a clean record and a great credit score will pay around $1,409. Meanwhile, a single adult driver with a clean record and a poor credit score could expect to pay $3,826 annually, which is close to $2,500 more! 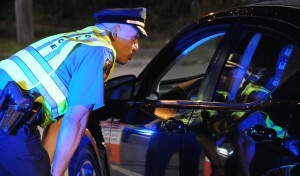 The priorities of these algorithms seems to be a bit off, as the report found that a DUI conviction is viewed more favorably than a bad credit report. 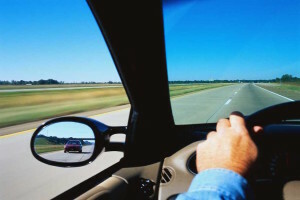 Again using Florida as an example, the report found that a driver with great credit and a DUI on the record would have to pay around $2,274 a year. Compared to the driver with a clean record and bad credit, that’s a difference of more than $1,500! It’s always a good idea to shop around for the best rate, or else you may find yourself paying an unfair amount of money because of your credit. This dilemma is relatively inevitable, so you should do everything you can to minimize the harm. If you do have questions or concerns, the helpful staff at McCluskey Automotive will happily assist you as you try to understand the process.